Can I add images to my poll? Can I add an images to my poll options? How can I answer a poll? Can I vote multiple options? It depends on the poll admin who created it. Admin has the ability to set up the choice of accepting multiple options from users. Are the poll results genuine? Yes, they are genuine, false votes from bots are avoided at maximum. Can anyone vote multiple times? It depends on the admin. 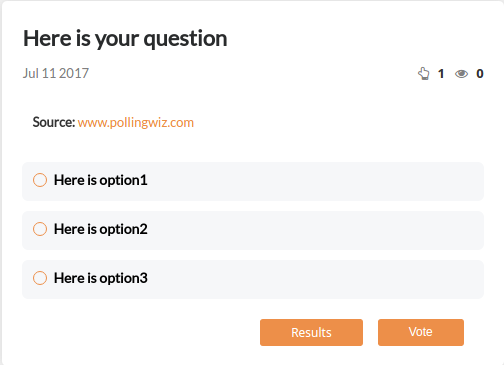 If admin chooses to avoid duplication, one cannot vote a poll more than once. Can I disable a poll any time? Yes, once you see if the poll has got enough opinions or any other reason, you can disable it. Can I share my poll anywhere? What type of results are shown for each poll? Poll votes, time-wise results, IP address(confidential) details, basic system information of voters are shown in a crisp manner. Can I have set of polls bound together? 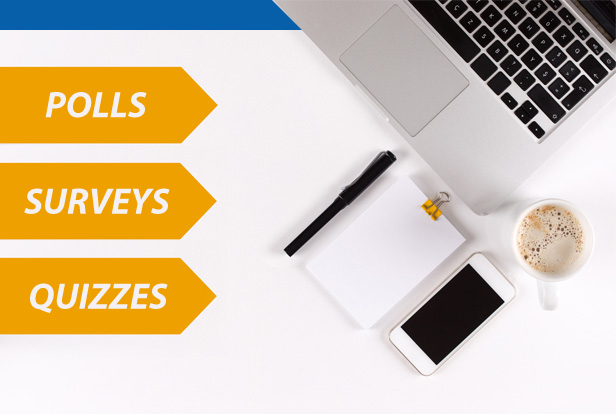 Yes, you can conduct surveys with a set of questions shared via single URL. Can I comment on poll/survey/quiz? Yes, you can comment on individual poll/survey/quiz using Facebook comments. Can I create survey/quiz without registration? This option is currently provided to logged in users. Can I restrict my survey/quiz to few sets of people? Yes, voters are restricted via email, As an admin, you can set restrictions to your users. Can I set a time limit for the quiz? Yes, while creating quiz you can set time limit to a quiz in quiz settings. Can I set time period for poll/survey/quiz? Yes, you can set the time period. What is the difference between Private and Public survey/quiz? 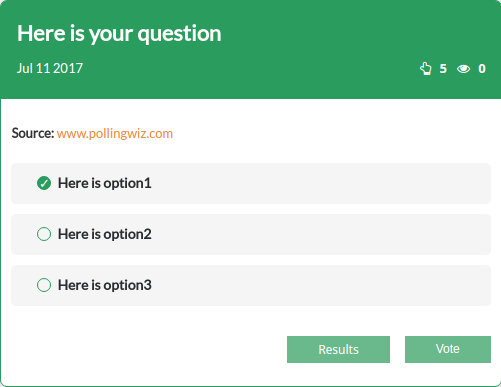 In public survey/quiz, we display suggestions for polls, shortcuts to share on various social networking sites, and allow public to comment, whereas in private survey/quiz only questions are displayed. 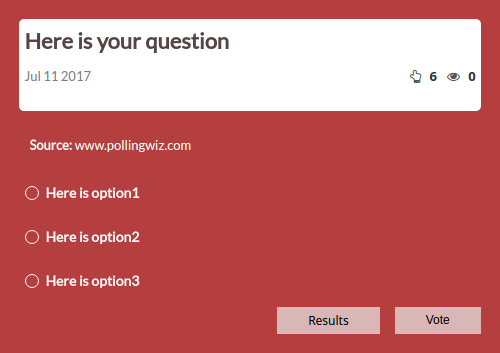 Can I embed a poll on my web page? Can I set the size to my poll widget? 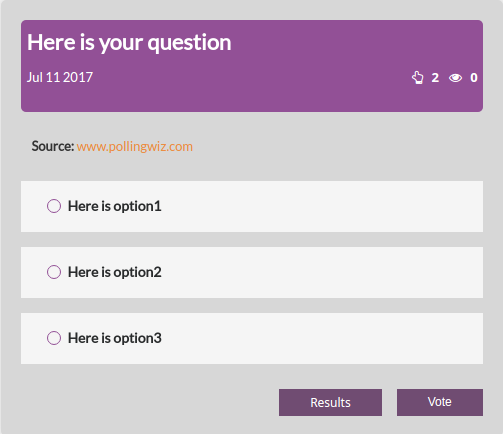 Are there any dependencies to embed poll? No, you need not worry about any dependencies. Can I embed a survey/quiz into my web page? 2017 © VenPlex Inc. All rights reserved..
See how highly you can score, then compare your results with your friends! You will be sent a mail with new password. Click on the link provided in your inbox.